George Kistler was born on February 21, 1864, in Penzance, on England’s west coast. He had a brother, Bismarck Kistler; their father was a clock maker, known for introducing the cuckoo clock and other German novelty timepieces. Swimming came naturally to George Kistler. He began swimming competitively at the age of 10. Before he became famous for swimming, for 17 years he was well known for playing soccer and rugby on the Cornwall County Soccer and Rugby teams. While living in England and working in his father’s shop, George Kistler reached the high point of his competitive swimming career in 1887, when he won the mile championship of the World Race at the Jubilee of Queen Victoria. Shortly after, in 1891, he traveled to the United States in hopes of becoming a swimming instructor. Having trouble finding such an opportunity he was forced to work as miner in Summit Hill, Pennsylvania, for four years. During that time, around 1894, he married Susan Rowe; they would have a son named George Hobart Kistler. Sometime in 1897 a group of Penn alumni discovered Kistler’s residence in the U.S. and approached him with a proposition to coach swimming at the University. They created a fund that would guarantee his livelihood until more definite provisions could be made for him. He accepted. 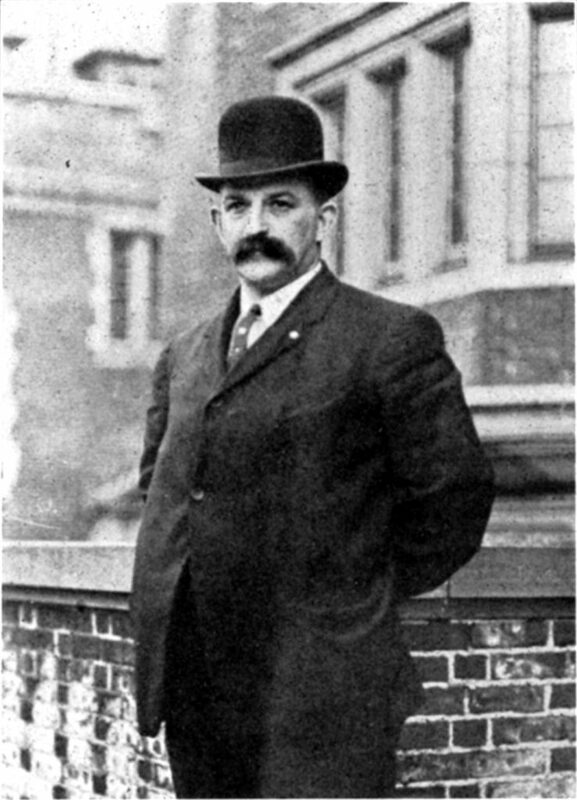 On April 5, 1897, Penn announced that the Houston Club had hired former world champion swimmer and instructor, George Kistler, to take on the responsibilities as overall director of the Houston Hall Pool. Kistler would successfully develop both swimming and water polo teams, but his first responsibilities at Penn involved the swimming exhibitions held in Houston Hall to showcase various aquatic activities. Kistler took over these exhibitions soon after he was hired. On April 24th, 1897, Kistler gave his first swimming exhibition immediately following the University’s Athletic Carnival on Franklin Field. Under the guidance of Kistler, the members of the Houston Club faced off against the National Swimming Association (N.S.A.) in a water polo match, claiming victory in every event. 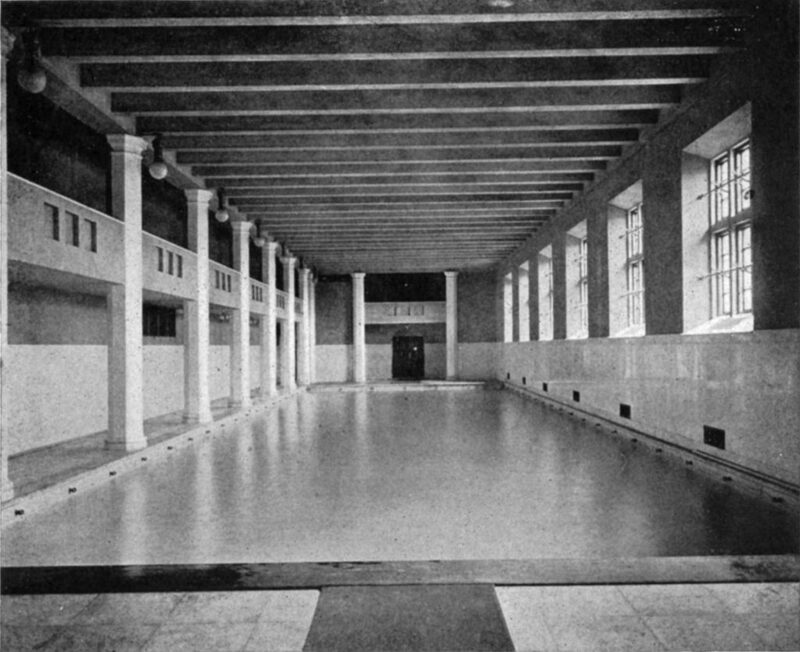 The opening of Weightman Hall at the University of Pennsylvania in 1904 marks the beginning of Kistler’s transition from his job as the University’s swimming instructor to his career as a swimming coach. As a result of his influence, the Board of Trustees and the faculty of the University made it mandatory that every student be able to swim. With George Kistler acting as the administrator, every student was required to complete the minimum requisite of two lengths of the pool (200 feet) to be eligible for graduation. Kistler was one of the few men to be awarded the varsity letter at Penn without actually representing the red and blue in intercollegiate competition. The honor was given to him at the time of his retirement in June of 1934; he had already been succeeded by William Merriam as head coach several years earlier. Two of Kistler’s best performances were swimming in the Delaware River. He swam from Philadelphia to Red Bank and back, a fourteen-mile trip taking three hours and fifty seven minutes. On another occasion he swam in the Delaware River from Philadelphia’s Market Street pier to one and a half miles beyond Chester and back. This trip amounted to thirty seven and a half miles and took him eleven hours and eleven minutes. Kistler’s swimming prowess even earned him induction into a Native American tribe. At the 1901 Sportsman’s Show in Philadelphia, the Ojibway tribe held an exhibit showing off their village as a part of the show. Each day of the show Penn swimmers took part in aquatic competitions with the tribe. When they impressed the tribe leaders with their swimming skills, each Penn swimmer was given a traditional Indian name during a ceremony at the end of the exhibition. Kistler was named “Mezhkaip,” meaning the turtle. After a lifetime of remarkable accomplishments, Kistler spent his last number of years crippled from chronic arthritis and severe illnesses. He died in January of 1942 at the age of 77.